Lobster baby! Your little lobster can't possibly get any cuter, but you do need new excuses to keep taking pictures and posting them to Facebook, don't you? Your friends and relatives probably think they've seen enough of your adorable little baby to last a lifetime, but of course they're completely wrong. But how will you get them to see the error of their ways? Perhaps with your child dressed in various adorable outfits! In which case, this is the perfect way to give a new shine to your beautiful baby. Who's going to say no to a lobster? Honestly, anyone? No, not even if they're allergic to shellfish. That's right, even someone allergic to shellfish would delight in this cute costume on your kiddo. And why not? Those big eyes, the little claws with those adorable tiny hands squeezed through? We're already envisioning millions of infants wearing these lobster costumes and being adored by parents and friends everywhere. And if you're worried about diaper changes, don't worry, we've got the snap buttons to keep you (and your baby) covered. So that sudden, unexpected dirty diaper won't ruin your elaborately planned photo shoot. Just a quick change and you're back in business, smiling faces all around. 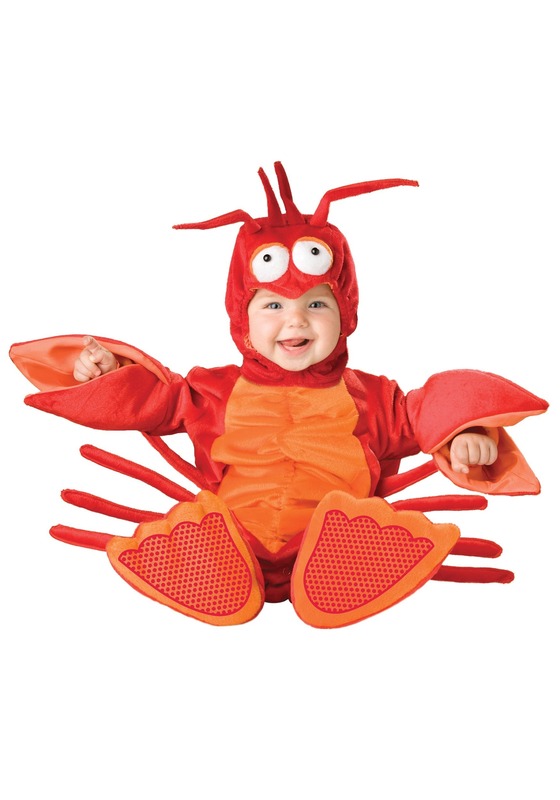 Of course, the more time your baby spends in the lobster costume, the more likely they'll come to love lobster. Kids are notoriously picky eaters and you're going to have your hands full when they're slapping their high chair demanding only the finest Maine lobster. Are you going to be able to fly that in? It's going to be absurdly expensive, but you know what? Your baby is worth it! Start this journey into the sea together and put them in the cutest costume this side of any coral reef!